It isn't news that smoking does damage to your health, but have you ever considered that it could do damage to your dental health as well? Smoking plays a big role in a number of dental ailments and problems. In fact, it isn't even just cigarettes but other products that you smoke, such as cigars. Whether you are ready to quit or not, it's important to consider how smoking can affect your mouth and teeth. At the very least, you can take additional precautions to help reduce the impact and protect teeth, gums and oral tissues. 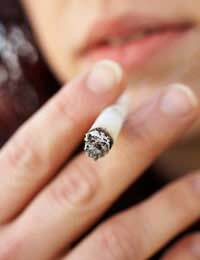 Unfortunately, the list is a long one when it comes to how smoking impacts dental health. If you think about gum disease, you may already know it's one of the top causes of tooth loss. But did you know that smoking increases this risk? Not only that, but smoking raises your risk of oral cancer, a disease that can kill if it isn't detected and treated in its early stages. Another way that smoking impacts health is that it slows down your ability to heal. After dental surgery, this can mean a higher risk of infection due to delayed healing. Even a simple dental surgery such as having a tooth removed can put you at a higher risk of complications if you're a smoker. Restricted blood flow to the tissues of your gums will reduce the flow of important nutrients to your mouth and teeth. You not only run the risk of general dental problems from this reduced flow but you also delay wound healing after surgery as well. Yet another effect of delayed healing is a condition known as dry socket. If you're a smoker, you can suffer from gum damage, which can then lead to receding gums. When gums recede, the roots of your teeth become exposed, triggering increased tooth sensitivity to hot and cold. It also makes you more susceptible to dental decay. Even if you put all of the health problems aside when it comes to smoking, there are still many aesthetic effects of smoking. Smoking can cause bad breath and it also results in stains on your teeth. Teeth will look yellow due to the sticky deposits that cause brown stains on your teeth. These stains can be somewhat minimised by brushing but they can't be completely prevented or removed from just daily brushing. The bad breath aspect can result from a regular build-up of tartar on your teeth. Not only is this unattractive and potentially damaging as it can lead to tooth decay, but it may also mean you need more frequent cleanings. Of course, more cleanings means more costs for you to bear. The roof of a smoker's mouth can become inflamed, leading to something called smoker's palate. It is more likely to occur in those who are pipe smokers. Tissues become irritated from smoking and react by becoming inflamed. These lesions are not even always noticed until you see your dentist. Probably the most deadly concern from smoking is oral cancer. If you are a smoker, you have a higher risk of oral cancer, including your mouth, oesophagus, pharynx and larynx. In fact, smoking causes the majority of oral cancers. Obviously, quitting is best. However, if you do continue to smoke, make sure you obtain regular dental checkups every few months. Professional cleanings are a must and your dentist should know that you are a smoker – if he or she can't already tell from an examination. This way, your dentist can monitor for signs of oral cancer. Make sure you brush twice a day, with a particularly thorough brushing at night before bedtime. Regular, daily flossing and an alcohol-free, antibacterial mouthwash should round out your oral hygiene plan. If you are ready to start life as a non-smoker, talk to both your regular doctor and your dentist about ways to help you make the change. It's an act that will not only help your dental health but it can also save your life as well.